Alison Sachs is a registered patent attorney at Schwegman Lundberg & Woessner. She received her B.S. in chemical engineering from the University of Michigan and her law degree from William Mitchell College of Law. 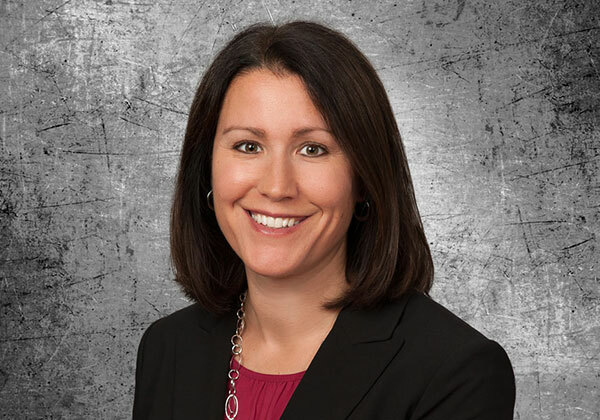 Alison most recently worked as an in-house IP lawyer at Cargill, and prior to that, as an associate at a Minneapolis IP law firm, doing patent preparation and prosecution for various technology areas, including chemical and mechanical arts. While at William Mitchell, Alison was a member of the Giles Rich Moot Court team. Prior to attending law school, she worked at 3M as a manufacturing engineer and as a sourcing analyst. She is a member of the Minnesota Intellectual Property Law Association and is licensed to practice in Minnesota.